The Gunks in upstate New York is one of the most well known and respected climbing areas. 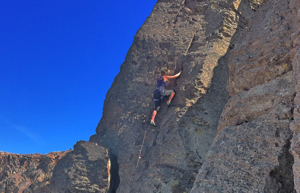 A new management plan was introduced for climbers work hand in hand with the current landowners. Most of the areas at the Gunk’s are located on the Mohank Preserve, other lands nearby are on the Mountain House property and other private lands but the management plan is mainly focused on the Preserve lands. The plans with stewardship for the preserve have been spearheaded by the Gunks Climbers Coalition, a fantastic group of climbers devoted to acquire access to areas in and around New Paltz and the Gunks. Plans include Miniwaska cliffs being opened, Millbrook access establishments, and the nearby Rosendale Waterworks and cliffs. A great deal of work is being done by this group. if you climb, have climbed, or plan to climb at the Gunks help this group out at some level. 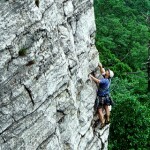 For more info on the GCC go to the Gunks Climbers Coalition website.